Testimonial by Hillary Yaffe » Anna Helm, Ph. D.
Current Affiliation and Title: Corporate and Financial Communications Associate, Burson-Marsteller in New York. It is imperative that the phenomenal experience I had while a student in class with Professor Anna Helm is shared with you. As a former student of her Intro to International Business class (IBUS 160), which I took in the fall semester of my junior year, I am confident in her ability to not only instruct this and any other class, but also to engage the students within the class. Today, engagement studies by McKinsey and other sources reveal that one in five workers are engaged in their jobs in the workplace. A similar comparison can be made within most classrooms. If applied to group of students in Professor Helm’s class, these studies would be disproven. She structures the class in a way that ensures that every student must get involved in the subject matter and thus every student will walk away from the class with a true understanding of international business. While in class with Professor Helm, I participated in mock merger and acquisitions negotiations among other activities that enabled me to truly learn the material as opposed to memorizing information to perform well on an exam. There was also a marketing project that involved a good deal of group work. Our presentations were of considerable length encompassing both the PowerPoint and the Q&A section, forcing us to all become comfortable speaking and engaging ourselves in front of the classroom. The hands-on learning experience extended itself to out of the classroom activities. Professor Helm is an active participant in GW’s CIBER program. I attended two different forums not only because I was a student of Professor Helms, but also out of personal interest that certainly stemmed from the classroom discussion of the events. 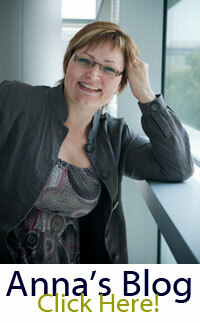 It is my opinion that Anna’s Swedish background is a useful tool for the University as well. Her cross-cultural perspective serves to be quite beneficial in the classroom. She is able explain to us through experience what we will face. Anyone can read a textbook, but in Professor Helm’s class the textbook comes as the secondary source of information. It merely compliments the classroom discussion and lecture. 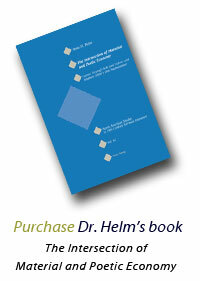 Professor Helm’s insight into sustainability and green marketing is quite valuable. It is my understanding that her masters class will be traveling with her to Sweden to meet with green technology companies. It is a trip such as this one that demonstrates her dedication to her students as well as her own thirst for knowledge. Graduating this semester, I have had the privilege of knowing Anna Helm for about a year and a half now. She has always made time for me whenever I needed help as a student, needed advice or simply just wanted to meet her for a cup of coffee. She leads a very full life and yet still manages to make so much time available for her students. The teaching approach that Anna Helm currently brings to the International Business department is one of the best I have ever encountered at this University.